The upgrade of the U.S. Department of Energy’s Advanced Photon Source at Argonne National Laboratory will make it between 100 and 1,000 times brighter than it is today. 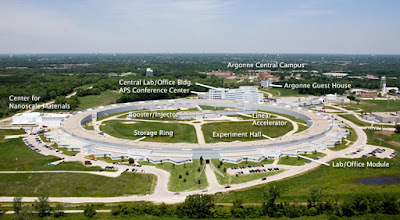 “That factor is such a big change, it’s going to revolutionize the types of science that we can do,” said Stephen Streiffer, Argonne Associate Laboratory Director for Photon Sciences and Director of the APS. In December, DOE approved the technical scope, cost estimate and plan of work for an upgrade of APS. The APS upgrade has been in the works since 2010. The upgrade will reveal a new machine that will allow its 5,500 annual users from university, industrial, and government laboratories to work at a higher spatial resolution, or to work faster with a brighter beam (a beam with more X-rays focused on a smaller spot) than they can now.